Basic CPR Training is vital to work towards increasing the survival rates of people who experience cardiac arrest. 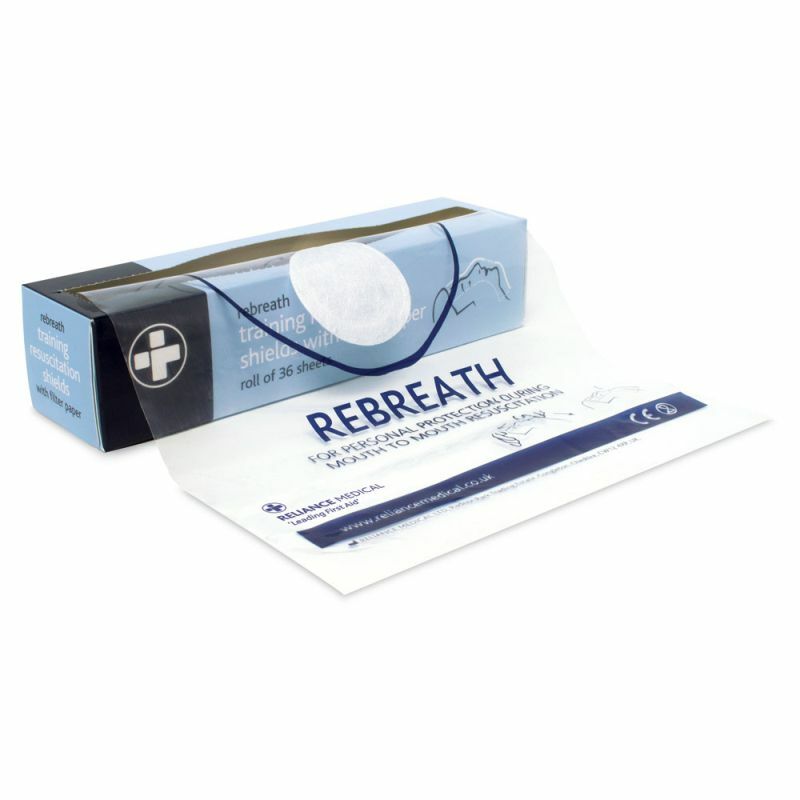 The Rebreath Training Resuscitation Shield with Filter Paper Roll provides a hygienic barrier between the trainee and manikin when practising CPR training. It makes for a good alternative to the Reliwipe Manikin Disinfecting Wipes. Only one in ten people who suffer from cardiac arrest outside of a hospital will survive, which is why it is more important than ever to train as many people on basic CPR as possible, in order to increase chances of survival. Without CPR, a person suffering from cardiac arrest will die within minutes, which is why chest compressions and rescue breaths need to be performed to stimulate blood and air flow. The roll dispenses 36 Resuscitation Shields, which are made from a transparent plastic film with a printed illustration of a face on the front, to indicate where the device should be placed on the patient or manikin. The masks have been designed for mouth-to-mouth ventilation of a non-breathing adult in an emergency situation, and the paper filter in the centre of the plastic film has been integrated for protected mouth-to-mouth contact. The Rebreath Training Resuscitation Shield with Filter Paper Roll is usually dispatched via First Class Royal Mail and delivery should be within 1 to 3 working days.